An EU aviation research project has recently investigated the concepts of organisational safety intelligence (the safety information available) and executive safety wisdom (in using that to make safety decisions) by interviewing 16 senior industry executives. Both Safety Intelligence and Safety Wisdom are needed. But while Safety Intelligence has been explored to some extent, the way in which top executives make decisions concerning safety is little understood and hardly researched. …however not from the manufacturing sector. The interviewees’ responses were organised into five key areas. …there are economic and performance pressures on the industry that could soon begin to affect safety – there is less and less ‘fat’ in the system, and the next cost-cutting exercise could impact safety. This is primarily the political and media pressure to act after an accident. Sometimes a quick reaction is clearly the right one to take, but other times it may be better to wait for more information, or not to react. The senior executives interviewed strongly emphasised their feelings of accountability and responsibility for safety, and this translated into active leadership on safety in their organisations. Taking responsibility for safety is also about demonstrating everyday leadership in building a strong safety culture. Dealing with risks is to lead by example: admit your own errors, do not get angry if people report issues, otherwise they won’t do it next time. The debate we’ve been having is where do our responsibilities begin and end. Our job is not only to look after safety from the areas that we have direct control but do our best to improve the overall safety. Regulators in particular need to be clear on their true accountabilities; if they take on too much accountability, this can disempower those they are regulating. “Many organisations only look at data, but that’s not enough” said one executive. The interviewees said that monitoring quantitative data, such as KPIs, is not enough and emphasised listening to post-holders and frontline staff, to help detect weak signals. This rich data flow only works if there is a culture of trust in the organisation, and a strong safety culture which ensures that safety information is fed up to the top. The topic of weak or ambiguous signals was discussed in this 2006 article: Facing Ambiguous Threats. The concept of searching also embraces the idea of mindfulness (discussed by Andrew Hopkins of the the ANU). Data hide[s] biases and obscures the theories underpinning their creation and subsequent analysis. Data are prey to the propensity of their creators and communicators to bend them to their will. Often, data—and the models they feed—rely on the past as a predictor of the future. This is not so useful in an environment of complexity and turbulence. Although being data-driven sounds like the latest and greatest business imperative, it’s actually high time to bring an appreciation of instinct and intuition back into the lexicon of business. A recent PwC report Guts and Gigabytes appeared to lament the fact that despite the big advances in data science analytics executives are making many decisions based on instinct. Subsequently the same PwC team reported that, when asked what they will rely on to make their next strategic decision, 33% of executives say “experience and intuition”. This behavior, the authors seem to imply, ought to be eradicated, not celebrated. Intuition is an area probed by cognitive psychologist Gary Klein in his books Sources of Power and The Power if Intuition. We also recommend this article: Data & Decision-Making: A match made in heaven or….? It is about being able to look forward. Waiting for the regulator to tell you what needs to be done is too late. The past is important, but the focus must be on today and tomorrow. Sharing the view of threats within the industry: The interviewees spoke about searching for both quantitative and qualitative safety information. Keeping the ultra-safe aviation industry safe is being done with richer information sources than a simple target based management approach using just KPI’s. Thus a target based approach only appears to work if it is supplemented by qualitative information such as direct discussions between those operating the organisations and those setting the targets. Anticipating the next threat: The executives frequently expressed a desire for a “more predictive approach to identifying future threats to safety”. This has impacts on the way regulators seek evidence to support future regulations. Historical data, especially quantitative data, will not identify future threats. This is about being wise before the event – not waiting for data to accumulate. Complementing the view from the top: The interviewees had “a strong personal belief that they are doing enough to protect safety in this current economic climate of cost reduction”. In the report, it is stated that management commitment to safety is “the predominate safety climate factor” that “sets the tone for safety in the rest of the organisation” but that this “requires more than simply knowing ‘the safety script’”. The researchers recommend looking further at how middle management and front line staff perceive their senior management’s performance. We think the study’s definition of safety intelligence as purely quantitative data is too narrow and the acquisition of qualitative information should be routine too. We have also previously commented on Safety Data Silo Danger – Data Analytics Opportunity and on the work of sociologist Prof Diane Vaughan, in her book The Challenger Launch Decision (see Challenger Launch Decision – 30 Years On). If people feel obliged to participate (in safety reporting) because of the rules, it is OK but not the right way. Teach people so that they feel it is part of their culture[…] Risk is always present, continuous improvement tension has to be part of staff culture. To find out what the cause is – I’ll go and find out because it’s only numbers – I go and say to the base captain, what is going on? …when you’re talking about the safety leadership, it’s actually how do you communicate? How do you act as a leader on an everyday basis? How do you respond to people’s reactions and things like that? How do you meet complaints…? However sadly, there are safety consultancies that, rather then help with these leadership challenges, are steering executives away from real safety leadership and workforce engagement. We were recently shown one consultancy’s so called safety leadership brochure by a potential customer. That potential customer was rightly incredulous that safety leadership was described as being indicated by ‘what was discussed in the board room’ (rather than that discussed with the workforce), by the enactment of the organisation’s safety strategy (which we both see as primarily a management output) and ‘by establishing clear accountabilities’ (again a basic management task not true leadership). We can gain insights into a new model of leadership from the late Nelson Mandela…Mandela frequently emphasized the shared nature of leadership and was known for giving credit to others. For example, when honored for his role in ending apartheid, he would note that abolishing apartheid was a collective endeavor. Perhaps one of the most important leadership lessons we might distill from Mandela was not his acquisition of leadership but the way he shared it. Mandela’s approach suggests a new way of thinking about leadership — not as a set of traits possessed by particularly gifted individuals, but as a set of practices among those engaged together in realizing their choices. This kind of leadership involves activities such as scanning the environment, mobilizing resources and inviting participation, weaving interactions across existing and new networks and offering feedback and facilitating reflection. One interviewee discussed making safety improvements “for us, not because we are regulated to”, highlighting that mature organisations don’t just settle for the minima of regulations. The discussion on Prediction matches the subject of a Royal Aeronautical Society (RAeS) Human Factors Group conference held 26-27 November 2015: Predicting the Fatal Flaws – Can we do things differently in aviation safety? 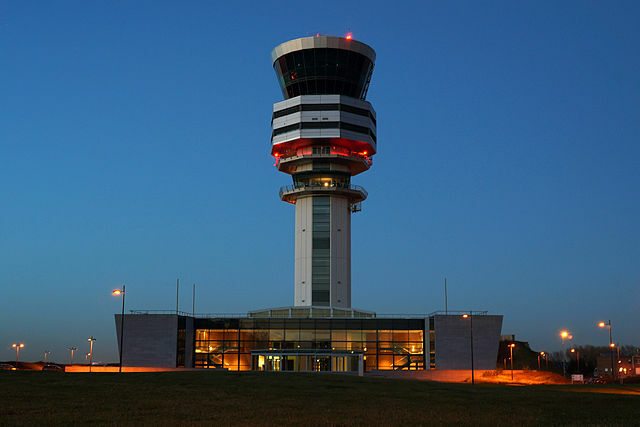 Aerossurance is aware that, we think bizarrely, the concept of ‘Prediction’ is actually going to be removed from the next revision of the ICAO Safety Management Manual to leave just ‘Reactive’ and ‘Proactive’ approaches. Having three categories is allegedly seen as “too confusing” apparently. We think that’s a retrograde step. For example Human in the System discuss: How to help correct the biases which lead to poor decision making (and Gary Klein’s concept of a pre-mortem discussed in his book The Power of Intuition). One example of a predictive safety initiative is the work the UK Civil Aviation Authority (CAA) did on the threat of large flocking birds, namely Canada Geese, as it became evident that bird populations were growing and their migratory behaviour was changing. The Critical Role of Safety Leadership to an audience in Houston, TX. Its worth noting the emphasis made of safety as a ‘value’ and of alignment across an organisation. 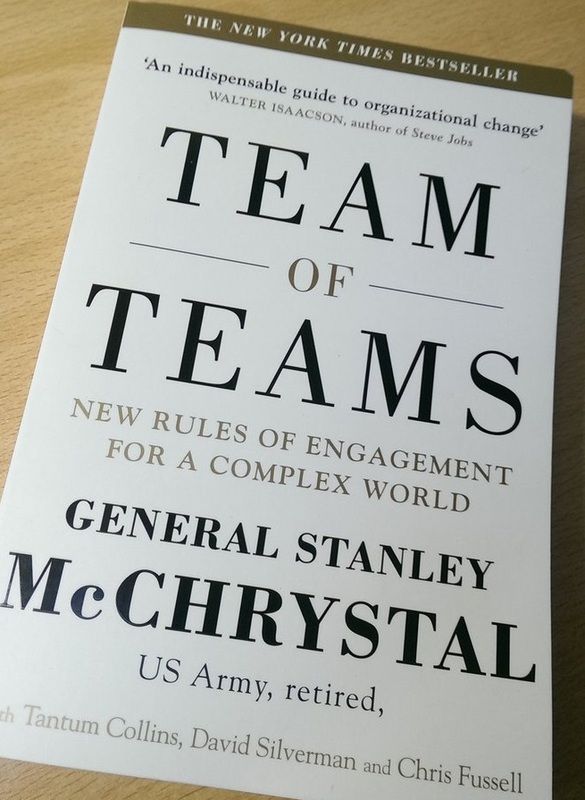 UPDATE 15 October 2016: Suzette Woodward discusses the book Team of Teams, by General Stanley McChrystal, comparing and contrasting intelligence lead special forces operations with managing safety in healthcare (two not obviously similar domains!). …think of this in terms of data related to Safety. If an incident reporting system was about fixing things quickly then by the time incident reports reach an analyst most of the information is worthless. Too many the intel teams were simply a black box that gobbled up their hard won data and spat out belated and disappointing analyses. We have all heard that one in relation to incident reporting. Our current catch all approach actually creates this problem. Of course with a mass of data every single day anything learnt is going to be belated and disappointing. What this sadly means is that it is often ignored and frankly because of this, time would be better spent doing other things. But that’s a dilemma- we can’t ignore the data but how can all the data be tackled in a timely manner. On the intel side, analysts were frustrated by the poor quality of materials and the delays in receiving them and without exposure to the gritty details of raids they had little sense of what the operators needed. This reminded me so much of the way in which we inappropriately compartmentalise safety into neat boxes with people working independently in an interdependent environment. Safety people need to be exposed to day to day experiences and at the same time appreciated and valued for what they bring. This I would suggest is symptomatic of a larger problem; the way the whole organisation works and dare I say it the overarching system that is there to support them. It always boils down to people and relationships in the end. Among Weick’s major ideas is the notion of sensemaking… We create, recall and apply patterns from our life experience to make sense of the world around us and impose some sort of order, or categorise it. On one hand sensemaking is the individual process used to support situational awareness (SA) and decision making, we also retrospectively use sensemaking intuitively to make better sense of events or experiences that have already happened. In this sense, sensemaking occurs both during and after events. The sensemaking model provides an alternative to the idea of people and organisations as being rational in their activities and decision-making. To understand the real-world structure and behaviour of organisations, we need to understand the perceptions, assumptions and values of the people who make up the organisation. One lesson from Weick’s insights for anyone trying to change or improve an organisation, is that others in the organisation will have their own view of it, and their place in it, which may or may not line up with yours. If you want to make sure your changes are understood and acted on, you will have to discover and understand their viewpoints, and you will have to address their concerns. …that airlines learn mostly from incidents that conjure the memory of a prior accident. And that could lead pilots and controllers and mechanics to slip into a frame of mind where they routinize close-calls and last-minute adjustments, a natural human tendency toward “the normalization of deviance,” the researchers wrote. Good management processes help a company execute its strategy and exercise its capabilities. But in fast-changing business environments, companies also need agile management processes that can help the organization change when needed. UPDATE 9 January 2017: We discuss High Reliability Organisations (HROs) and Safety Mindfulness, picking up another aspect of the Future Sky research on the shared awareness of emerging threats. 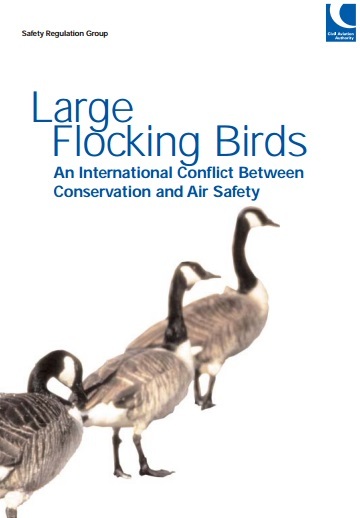 UPDATE 15 January 2017: Power of Prediction: Foresight and Flocking Birds looks further at how a double engine loss due to striking Canada Geese had been predicted 8 years before the US Airways Flight 1549 ditching in the Hudson. Today, the real challenge for decision makers is how to turn knowledge into insight. Board members are overloaded with information and are attempting to make the right decision in a short period of time. For the decision process to be effective, board members need to understand how their brains work. Among all the biases affecting quality of judgement and decision making at board level, the most common one is certainly the overconfidence effect. Playing the devil’s advocate and framing the problem through different angles will reduce the effect of the cognitive distortions that lead groups astray. It is now recognised that the practice of referring to “the expert on the board” is very risky…[as this]…presents the perfect setting for a wrong decision if boards do not seek “intelligence” by inquiring further and testing the so-called experts. It is now recognised that the practice of referring to “the expert on the board” is very risky. Expertise, diversity and inquiry are key practices that make a board intelligent. The members of such a board collectively reflect on how they make judgements and decisions, and practice “score keeping” – developing an understanding of how often and why they have been wrong in the past. In this way board members become aware of their own biases and become more effective in addressing them. These boards also embrace diversity and feedback as essential practices for developing their intelligence. UPDATE 15 March 2017: The first Future Sky Safety public workshop was held on the 8-9 March, 2017 in Brussels, at Eurocontrol Headquarters. Out of the eight trends we see, this one is the most disruptive to an organization. But because of that, it might also be the one that has the most impact on the engagement of employees and the success of an organization. In reality, our organizations are simply not a collection of clearly distinguishable departments and roles as shown in [atraditional organisation chart]. Therefore, we should stop designing them like this. No wonder that most of the progressive organizations we’ve visited moved away from this traditional organizational structure. Many of the progressive organizations we visit welcome a so-called “Network of Teams”. For this to happen, we should begin to tear down our familiar organizational structures so we can start rebuilding them along more fluid lines. We need to dissolve the barriers that once made organizations efficient but are now slowing them down. 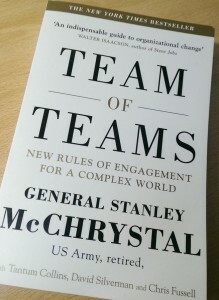 Then let us design structures that actually work and aim to distribute authority and autonomy to individuals and teams. …establish[ing] flexible structures that allow individuals to gather as members of multiple teams within multiple contexts. Leverage the power of technology to create alignment. Understanding safety performance is difficult; what data do we really need to understand safety? Anticipating the future is getting harder; how can we look around the corner to see what is coming? Simply tightening safety regulation won’t work on its own. Constraints are necessary but “work as done” shows the need for a degree of flexibility. So, how do we find the right balance with regulation and flexibility so as to build safe, resilient systems? UPDATE 17 September 2018: How Self-Reflection Can Help Leaders Stay Motivated. 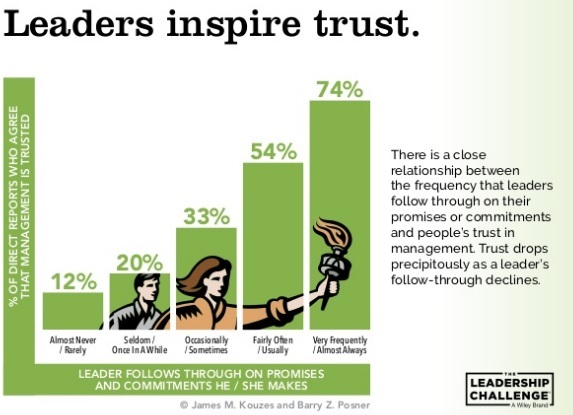 This HBR article does fall into the trap of treating leadership as a noun, i.e. position related, rather than a verb, i.e a behaviour, but otherwise some good thoughts of reflection.